I thought I'd get the Mohe Zhiguan Study Thread started by posting some introductory material that might be useful. Dr Swanson's translation already contains a lot of good information, so I've tried to approach our introduction in a slightly different way. I hope it is of some use in putting the text into the appropriate context. I will try to begin posting on the text proper next week. In the meantime, perhaps these introductory notes might be able to get the discussion headed in the right direction. In the interest of keeping the thread from turning into horrible walls of text, I've decided that I will upload the notes for each section in PDF form on the Tendai Australia website. This will hopefully mean that the thread will remain easy enough to navigate and follow as we move through the text. This thread, being part 1, will hopefully contain the introductory discussion, as well as work through Guanding's Introduction. Please find the introductory material in the link below. "... the "Tiantai learning curve" grows quickly and broadly from the very beginning." You are not kidding! That is a daunting syllabus! Do you have citations for the texts you include in the Study Materials that have been translated into English? I don't want to hijack this thread, but I have a question about Hochibo Shoshin - do you know of any English language studies or translations? 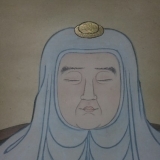 The reason I ask is because my curiosity is piqued - he slightly predates Nichiren who I think might have been following in his footsteps in seeking to revive Tiantai teachings within an esoteric environment. Queequeg; Not daunting but challenging! We have to climb that mountain. This is super, thank you so much Rev. Jikai, I'm looking forward to learning so much! Do let me know at any point if something is deserving of greater elaboration. Yes, I do have citations for the english material. I will also compile a list as we go and append that to these resources. Absolutely! you know it is quite auspicious that your mountain comment coincides with a similar comment found in the Xunzi, in the same section from which Zhiyi quotes the "blue of an indigo plant". There it specifically reads: "If you never climb a high mountain, you will not know the height of heaven." * Hutton, 2014.(故不登高山，不知天之高也). Sorry for the delay in posting it up. I hope it is of some use. Arigato gozaimasita Rev. Jikai; been busy with school, but am starting to read it now. I hope the notes are helpful. If anyone has any questions, disagreements, comments, I look forward to hearing and discussing them. Will you be addressing the influence of Confucius further in the future? How much of an influence did Confucian thought play in the Tiantai/Tendai lineage? Is Confucius presently part of the Tendai curriculum? Swanson and his bracket insertions... I've often sat and stared at the page after coming to one of his insertions. I can't recall specific instances off hand, but there have definitely been times when I found what he inserted quite jarring, at odds with what I have learned or intuited. Often, he doesn't explain his decision in the footnotes. Thank you for that interesting examination. Regarding the lineage ending with Simha possibly being a veiled criticism - that would not be surprising. The Chinese have a long tradition of veiled criticism in their works. When my wife was studying Chinese literati painting, it was interesting to learn that some innocuous appearing images were actually deep political critiques, deeply veiled and coded to avoid the censors. It would be interesting if there is criticism in the MHCK proper. Since the subject matter we are studying emphasizes both study and practice, is there a simple practice that you could recommend for us to undertake while we follow this study? I wanted to thank you Jikai. It is clear that you are putting a lot of thought and effort to this and I am very appreciative of this opportunity to study the MHCK with you and the rest of the community. What does it mean to hear the perfect Dharma? To hear that samsara is indivisible from the Dharma body. that passionate afflictions are indivisible from prajna-wisdom, that the bonds of karma are indivisible from liberation. My other question: would you discuss the Lotus zammai - the practice as it is done today in Tendai? It was wonderful reading the quote on p. 77 " if you do not climb a high mountain you will not comprehend the highness of heavens" ; I hope I am like those indigo leaves. And let me again thank you Rev. Jikai for your kindness and compassion in holding this study group with us! "This Zhiguan is the Dharma Gate of Practice which Tiantai Zhizhe practiced in his own mind." This statement in the Introduction reminded me of these quotes from the Lotus Sutra, referring to the Buddha's own bodhisattva practices. "For immeasurable hundreds of thousands of myriads of koṭis of incalculable kalpas, I practiced this Dharma of highest, complete enlightenment, which is hard to attain." "This Mahayana sutra called the Lotus Sutra, the instruction for bodhisattvas and treasured lore of the buddhas." A standard phrase that appears throughout the first half of the text. I was wondering if there is any commentary relating this statement from the Introduction to these phrases from the LS? Presently re-reading the intro to Swanson's translation by Donner and Stevenson. Understanding [that is, learning] purifies practice, and practice promotes understanding. Illuminating and enriching, guiding and penetrating, they reciprocally beautify and embellish one another. They are like the two hands of a single body, which, working together, keep it clean. [Yet this synthesis of learning and practice] is not just a matter of clearing away impediments and overcoming obstacles in order to inwardly advance one's own enlightenment. One must also achieve a thorough comprehension of the sutras and treatises so that one can outwardly reveal to others what they have not heard before. When one combines one's own training with the training of others, benefit is then complete. If on such as this is not the teacher of all humankind and the jewel of the nation, then who is? Growing up, I was exposed to the, "blue dye" teaching. Nichiren's interpretation of this passage conforms to the implication of the Xunxi, ie. "Blue dye derives from the indigo plant, and yet is bluer than the plant. Ice comes from water and yet it is colder than water... "
T’ien-t’ai states, “From the indigo, an even deeper blue.” This passage means that, if one dyes something repeatedly in indigo, it becomes even bluer than the indigo leaves. The Lotus Sutra is like the indigo, and the strength of one’s practice is like the deepening blue. The quote attributed to Zhiyi (T'ien-t'ai) seems to be an interpretive translation conveying the Xunxi. We can also set aside Nichiren relating the Lotus Sutra to the indigo plant. Notwithstanding, Nichiren's interpretation seems to conform with the Xunxi and Guanding. I think its relevant to note Guanding's remark in Fahuaxuanyi, praising Zhiyi, “Even the great scholars of India were not in a class with him, and the Chinese teachers—well, one need hardly mention them. This is no idle boast—the doctrine he taught was indeed of such excellence.” (I don't have Swanson's translation with me, so I am quoting a translation of this passage as it is found in a translation of Nichiren's Kanjin no Honzon sho. Zhiyi remarked in MHCK - "Vasubandhu and Nāgārjuna internally had insight and were enlightened, and externally each responded appropriately to the needs of their times on the basis of tentative means. However, some [Buddhist] teachers have a one-sided understanding, and some scholars are carelessly attached [to their own limited interpretation], so that they [argue and fight uselessly,] like shooting arrows at a rock. They each maintain one extreme, and thus pervert the noble path." (I don't have the text in front of me and am quoting from one of Swanson's drafts of the section, "Objects as Inconceivable" From the Perspective of Contemplating the Middle: Beyond all Dualities (Including "Non-duality")"
So before people get excited, my understanding of these passages is not that Zhiyi was considered categorically superior to everyone who had appeared since the Buddha's parinirvana, but that the insight he had and his spontaneous exposition on the Dharma surpassed any of his contemporaries in China or India. All this is to make the point, my understanding of the reference to the indigo dye is that by immersing ourselves in the teachings, we surpass the teachings. I'm not sure that this should be considered particularly controversial - the real proving ground of dharma is not found in textual analysis or even its exposition, but in the sublime realization and the profound relations with others as a conduit of the buddha wisdom. In other words, there is a reality beyond the particular textual teachings that is greater than its means of conveyance. I think this comes into focus when the rest of the MHCK, particularly the Sudden & Perfect, is taken into account. Zhiyi himself refers to the actual teachings as "Inconceivable". It would be interesting to see the rest of the context of Zhanran's comments on this subject. FWIW, I don't think Nichiren was introducing a novel view, and suspect it was at least a minority interpretation within the Tendai in the 13th c.? I do intend to speak further about Confucian influence on the tradition. It is quite significant, although it is not limited to Tiantai/Tendai as such. Most of Japanese and Chinese thought, and society, have been heavily shaped by Confucian mores. In regards to the latter question, Confucian thought is part of the Tendai curriculum, but it is not presented directly. Confucian values are seen as given on a mundane level, and Buddhist values then, are a higher order value which is placed on top of them. So we do read parts of Confucian texts, but they aren't studied so much as 'included. You have to keep in mind that much of modern Japanese culture is still very Confucian. So a lot of this stuff does seem fairly 'common-sense propriety' for your average Japanese. For us, this is not necessarily the case, so I do intend on occasion to discuss it tangentially in the interest of the broader picture. No problem. Translation is by no means an easy task. Very often the Chinese is frustratingly obtuse, and it takes seeing the whole of the section, page, or 'chapter' to interpret it in a consistent way. Oftentimes an idea only becomes clear when the entire work is in focus. So even when I differ in my reading of a passage, I do applaud Dr Swanson's efforts heartily. Especially when someone like Zhiyi quotes another ancient source. It isn't always clear that the later standard interpretation of a Confucian text was anything like the standard interpretation in Zhiy's time, or that Zhiyi understood it that way. Chinese writers often play with the language, and already familiar patterns, ideas etc in cheeky ways. This sort of thing is nigh impossible to translate accurately first, and then nicely into English. And most often in translation, 'term-pairing' is entirely lost. I tend to be very conservative in my readings, and tend to stick with the older commentaries, unless I have some other convincing reasoning. Having said all of this, I do think that at times it would have been better if he left the bracketed information out. At the very least, the bracketed information is often an attempt to clarify, what is an intentionally vague Chinese passage- which by being such allows one, nay requires one to read a single passage in a number of different ways. That sort of thing isn't possible in English, except maybe through the use of 'playful punctuation'. If you like that sort of hidden symbolism, you might like the film Let the Bullets Fly it was a not too subtle critique of the Guomindang's failings, and the CCP's subsequent infractions. A great film if you can pick it apart and understand the context. That is a great idea. I will put together some simple practices we can go through, and perhaps we can begin to go through them from the beginning of the first chapter.